Corvina REX Frescamar is part of the products with which the new campaign of the Ministry of Agriculture and Fisheries, Food and Environment (MAPAMA) aims to spread the benefits of Mediterranean culture throughout the Spanish territory. 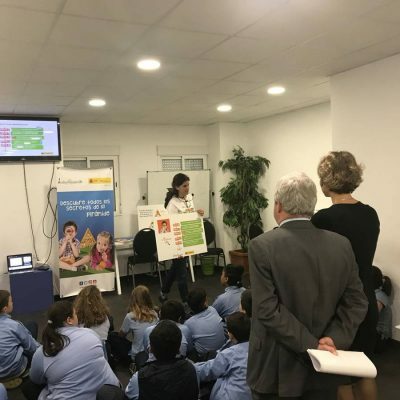 The launch of the aforementioned campaign was held at the Centro Superior de Hostelería del Mediterráneo in Madrid, with which Frescamar Alimentación collaborates with various actions throughout the year. 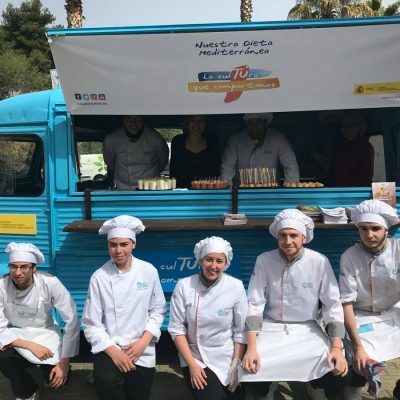 Among the activities included in its program and under the title “Mediterranean Culture 2018” there are workshops such as the one starred by REX and its corvina ceviche on the opening session. The Minister Isabel García Tejerina and the Secretary General of Agriculture and Food, Carlos Cabanas Godino were some of the MAPAMA representatives at the event, among others. The motto of the campaign, “Our Mediterranean Diet, the culture we share”, responds – in the words of García Tejerina – to the fact that the Mediterranean diet “is one of the great treasures of Spanish gastronomy, a heritage that links us to our past and that reaches all corners of the world in the present”. 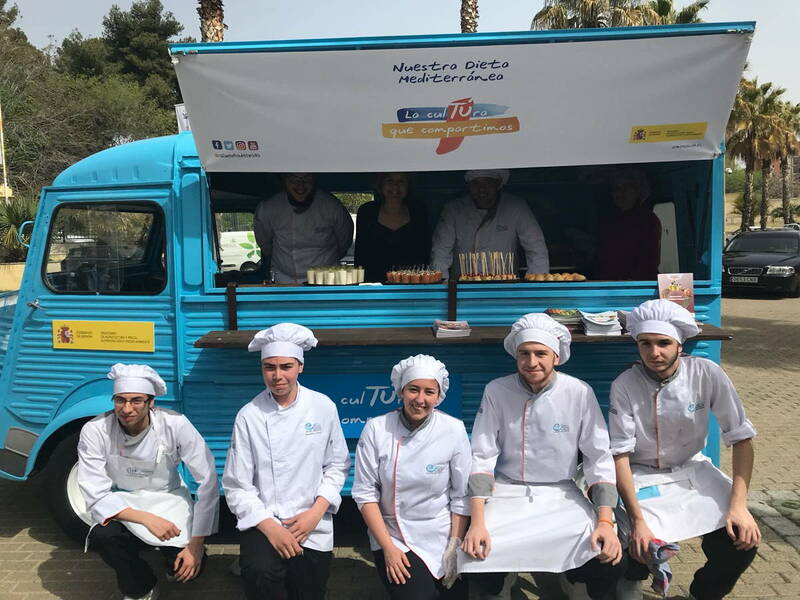 Popular races, a Mediterranean gastrobus that will travel through different Spanish cities to spread our Mediterranean diet and a “Mediterraneamos 2018” recipe contest are some of the actions included in the campaign. 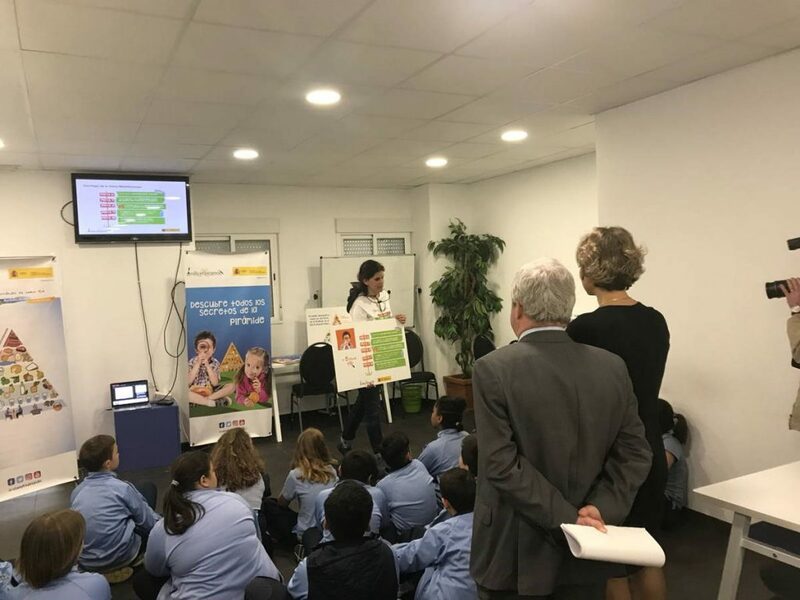 Thematic weeks on fruits and vegetables, on fish products or on the reduction of food waste complete an extensive program aimed at schoolchildren, hotel and restaurant professionals, the distribution channel, consumers, etc. The promotion of the Mediterranean culture entails the consumption of our agri-food and fishing products, such as Corvina REX, which must be combined with the daily practice of moderate physical exercise. This was discussed during the presentation by the sportsman Abel Antón, two-time marathon world champion and awardee of the Prince of Asturias prize for sports; the nutritionist Laura Berninches, who also holds a degree in physical activity and sport sciences, and gastronomy communication expert José Manuel Iglesias, who also acted as the event’s anchor.